Carbon Fiber Front Chin Splitter for 1987 – 1990 LX Ford Mustang. 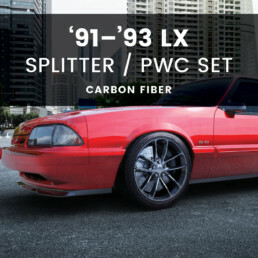 Carbon Fiber Front Chin Splitter for 1987 – 1990 LX Ford Mustang. 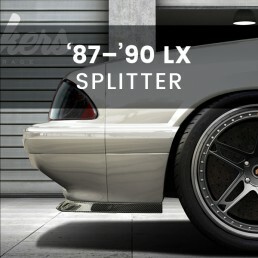 Fits LX Foxbody equipped with ’87–’90 LX fender extensions. Includes all mounting hardware, and detailed installation instructions.